2 1/2 Hours that can literally change your life! In 1993, we recognized the need to help empower women to NEVER BECOME A VICTIM OF CRIME, and developed a 2 1/2 hour “hands-on” self defense workshop designed to give women options to handling the five most common attacks. We teach P.O.W.E.R. principles that are easy to retain and will give you confidence to know that you could defend yourself and protect your loved ones. Statistics show that by taking a self-defense course, one dramatically reduces the chance of becoming a victim! During our 30-minute presentation, we will raise your awareness of sexual assault, review a few statistics to identify the problem, discuss personality profiles of women and teach you how to overcome fear by programming your responses both mentally and physically. We will work with the simplest, most effective tools that you instinctively have, and incorporate a step-by-step training method that helps you “fight back” smart. Your natural response will become very effective and important if threatened! We will role play five of the most common attacks and their defenses, and show you how to introduce the P.O.W.E.R. principles in every instance. The key to overcoming fear paralysis is to role play these real life scenarios to create a natural response. You’ll practice exactly what you need to know. 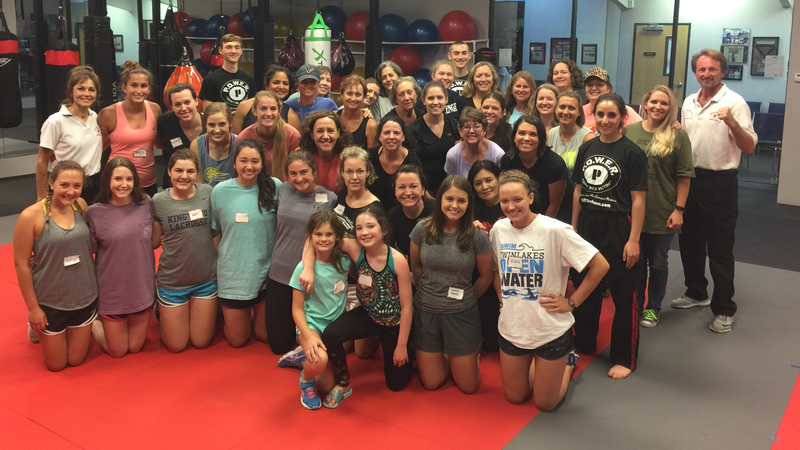 Workshops can be in Kingwood, or we will travel for groups! Here are some pictures from various seminars over the past 25 years. You may notice that some of the women are in several pictures. This is due to the fact the with our workshop, we ENCOURAGE repeat attendance. We even GIVE YOU ONE FREE YEAR worth of refresher courses! We just ask that you bring someone new with you. After a workshop, we ask for evaluations...here are just some of them! Nothing gives more credibility than endorsements. Here are a few participants who gave their testimony after taking our workshop. I enjoyed it because it was hands on. It was realistic that way. I really enjoyed it! I really like the course because I was very nervous at the beginning. I thought it was going to be very strenuous and aerobic, and it was nothing like that. I think it would be great for any age group. I really liked all the information. Some statistics that were informative. I liked working with the men. It is a whole different experience working with a man grabbing you than when partnered with a woman. A 2 1/2 hour workshop that can literally save your life. 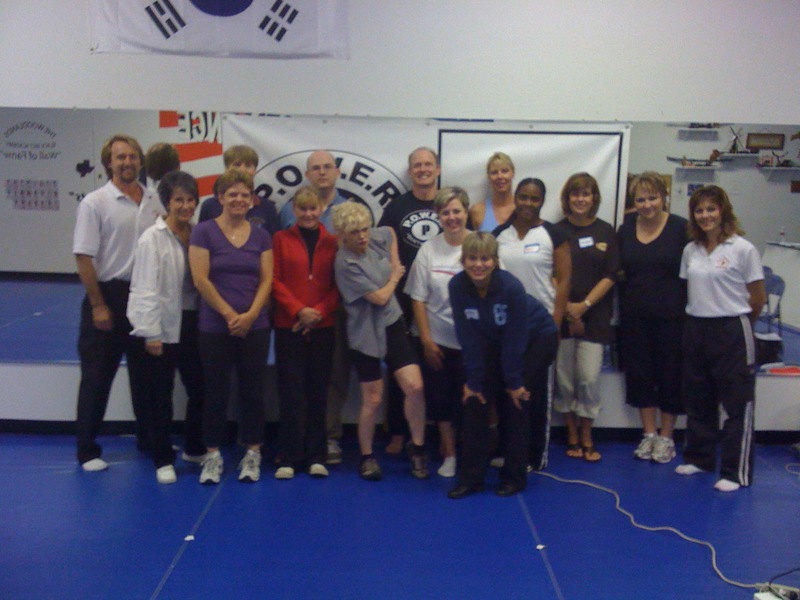 Statistics show that by just taking a self defense course you are less likely to be a victim! Help us change the world, one woman at a time!